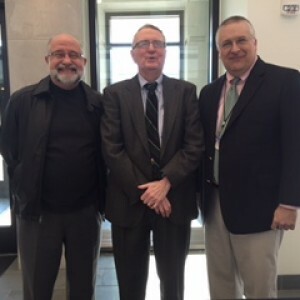 Delivered the Banner Lecture Thursday at the Virginia Historical Society in Richmond. 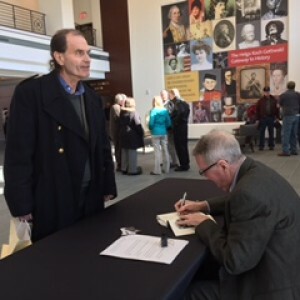 More than 200 very interested members and guests attended the address on Maury’s involvement in Virginia’s Reconstruction and his “Last Crusade” — to establish a National Weather Service. At the time, the Smithsonian was gathering the data daily but only publishing the results annually. Maury wanted the information released, if not daily, perhaps weekly to benefit farmers, businessmen, rail lines, etc. Every time, I came to this point in the speech, the audience laughed heartily. Setting the stage in his introduction, Paul Levengood, head of the society, noted the weather forecast for the past few days was calling for massive amounts of snow from Richmond north. He then thanked the audience for attending rather than stripping their nearby Krogers of bread and milk. He did not mention the Washington metropolitan area’s inability to handle an inch of snow during the evening rush hour the day before. I said in the speech that the Smithsonian may have had a point in holding this kind of news close to its castle – no mass anxiety attacks. 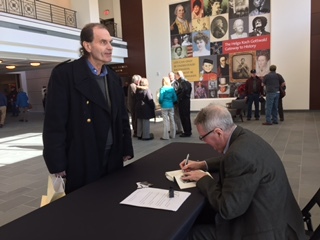 At the signing after, I was surprised at how many attendees identified themselves as Maury descendants, such as Mr. Fontaine of Richmond. 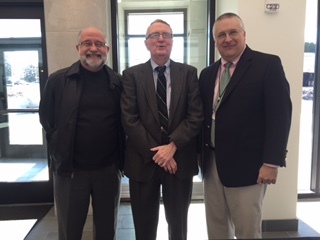 With me in the other picture are J.P. Jones, law professor at the University of Richmond, whom I met at a naval history conference in Annapolis, left, and Graham Dozier, editor of the Virginia Magazine of Biography and History. Of course, Lillian and I stopped on our way home – beating the storm by 18 hours – to buy milk (took the last 2 percent gallon from the cooler but there was plenty of whole milk, 1 percent and skimmed), English muffins, etc., at a Giant on Route 123 in Fairfax. Timing is everything.